One of the benefits of this dash to freedom that we weren’t aware of was the boost our brain cells received through that quick drink. Children in a learning environment need regular hydration to improve their concentration. However, it is very important that this water be pure and fresh. Most of us have water filters in our homes, but there are still some schools using old-fashioned mains tap water bubblers. Can schools get a reliable supplier for filtered water bubblers? Pacific Springs supplies the RM Series water bubbler stations that are suitable for use in schools in the Brisbane and Gold Coast areas. They will install the units to the school water mains and service them on an automatic schedule so that no one has to remember to contact them when the service is due. This is a boon to the busy school administration section. Designed and manufactured in Australia, these water bubblers are space-age stylish and nothing like the old, round basin type where you almost needed to immerse your head to get a mouthful of water. Stylish, though, doesn’t mean “don’t touch me – I’ll break.” This makes them very suitable for the robust environment of school playgrounds, gyms and sports ovals. Available in 10L, 20L and 30L per hour, there is a model to suit every location. Pacific Springs uses True Blue filters that are designed to filter up to 10 times more impurities than other comparable water filters, even though they have the same capacity as a 3-single filtering system. The True Blue filters are more efficient because of their antibacterial contents, requiring them to be replaced once a year instead of every six months. What happens to children when they dehydrate? 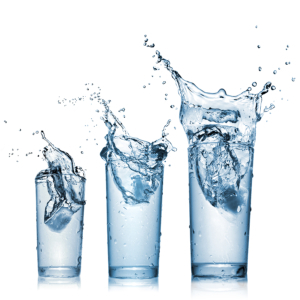 Studies have shown that a 2% drop in body water in children can trigger several concerning responses. Difficulty focusing, fatigue and yawning, and erratic and moody behaviour are all experienced by teachers in our classrooms every day. Constipation, aches and pains not caused through injury or illness, and a craving for sugar and sweet foods are also worrying symptoms that a simple drink of pure, fresh water can remedy. Health practitioners keep telling us that by the time we feel thirsty, we are already dehydrated. Children lose up to 12 cups of water daily through normal bodily functions. This water must be replaced if the children are to avoid these symptoms and behaviour. Replacing the old, rusty bubblers with new, sleek models that supply fresh filtered water could see a marked change in academic performance and a drop in behavioural incidents in the playground. The people at Pacific Springs are ready and waiting to discuss the supply of these filtered water bubblers to Brisbane and Gold Coast schools. With the Christmas break fast approaching, this is the perfect opportunity to start the ball rolling and surprise the students with new bubblers to start the school year. This entry was posted in Water Filters & Purifiers, Water Health and Safety (OH&S) and tagged water bubblers by Teala. Bookmark the permalink.